These personal pizzas are made in just 15 minutes from start to finish! 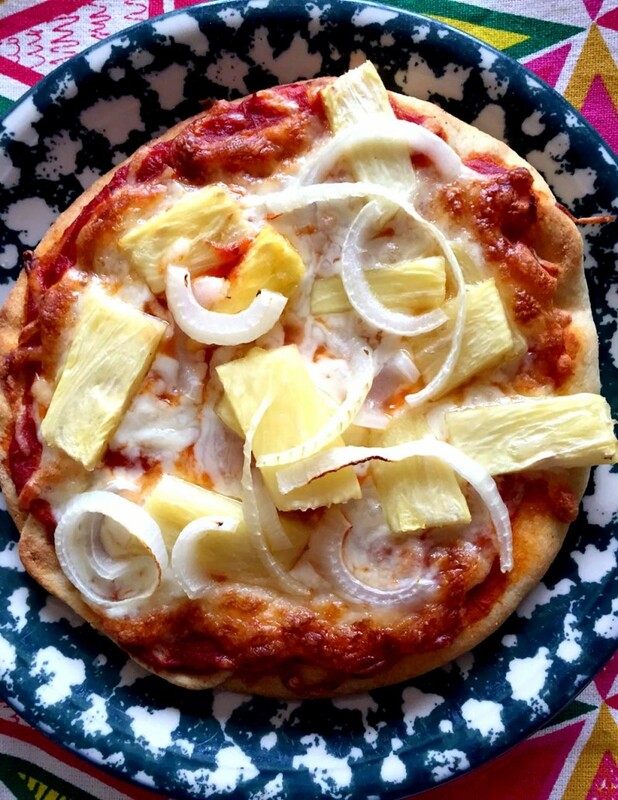 Hot pita bread topped with delicious pizza sauce, melted cheese and exciting pineapple and onion slices – these pineapple onion pita pizzas are always a hit! Pineapple on a pizza? When it comes to using pineapple as a pizza topping, people generally fall into two camps: love it or hate it 🙂 Of course, I’m in the pineapple pizza loving camp! When the pineapple is heated, its taste intensifies and it goes really well with savory dishes. I’m a big fan of savory-pineapple-anything – ever heard of the fried pineapple? Anyway, I think the pineapple pizza topping is awesome, especially when it’s combined with onions! Baked pineapple and onion slices give this pizza such a unique mouthwatering taste, you just feel like you can never get enough! This recipe makes 8 personal pita pizzas, and the reason why I put 4 servings (not 8) is because everyone’s going to want 2 🙂 When something is so yummy, it’s human nature to get greedy and just want more, more and more! Pineapple, onion and ham are actually the classic toppings for a Hawaiian pizza, but I prefer the vegetarian pizzas so I leave the ham out. For this recipe, you can use fresh or canned pineapple slices. If you are using fresh, check out my tutorial on how to cut a pineapple – yes, it’s pretty simple if you follow my easy instructions! 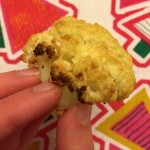 The thing you are absolutely going to love about this recipe is how quick and easy it is to make. 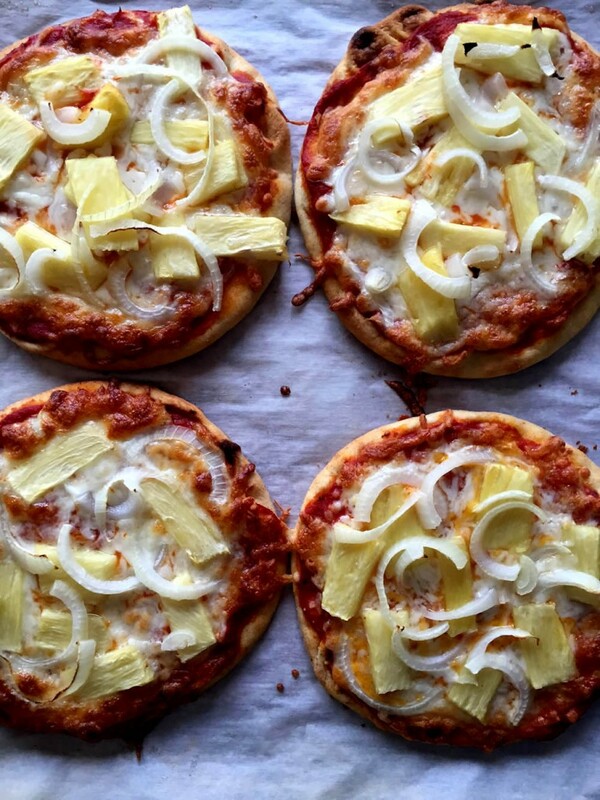 This pineapple onion pita pizzas take just 15 minutes to make from start to finish! The secret to such quick and easy personal pizzas is using the purchased pita bread as a pizza crust. Assembling the pita pizzas takes 5 minutes, and then they bake for 10 minutes. 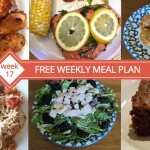 This is a perfect weeknight meal to make when you come home from work and everyone is starving. Your family will devour these yummy personal pizzas in seconds! 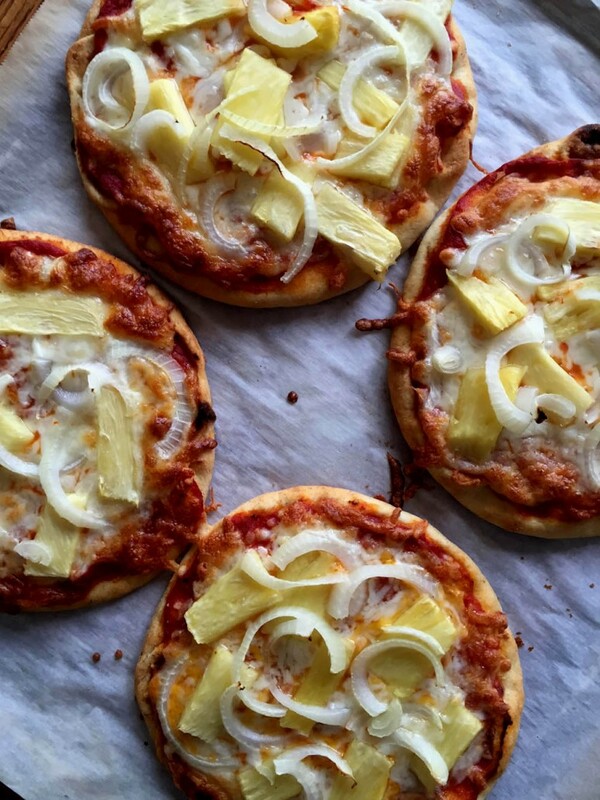 To make the pineapple onion pita pizzas, all you need to do is drizzle the pita with olive oil, spread with tomato sauce, sprinkle with shredded cheese and top with pineapple and onion slices. These pita pizzas only take 10 minutes to bake at high oven temperature! The crust heats, the cheese melts, the pizzas come out and dinner is on the table! Pita bread makes a great instant personal pizza crust! 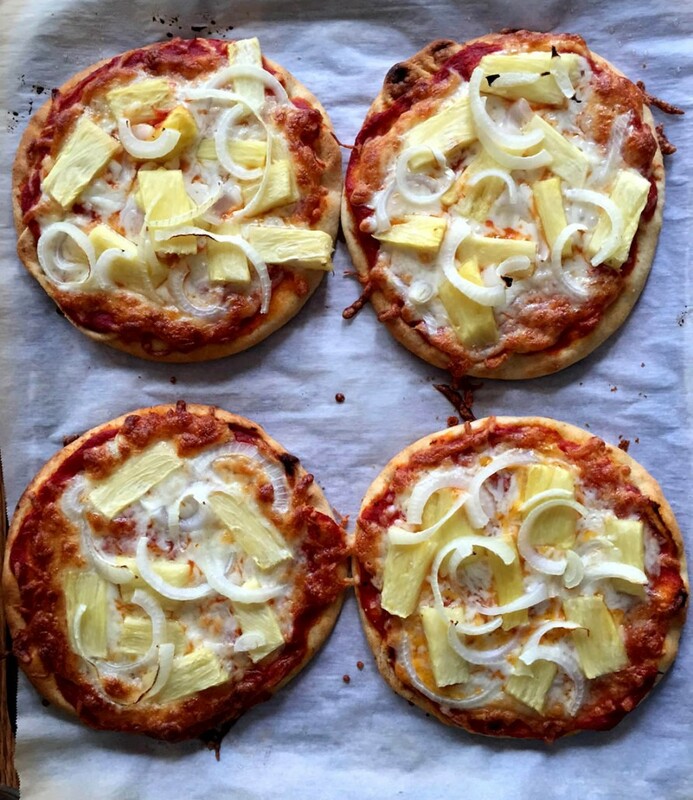 These mouthwatering pineapple onion pita pizzas are made in 15 minutes from start to finish, making it a perfect weeknight recipe! Put the pita breads on the baking sheets in a single layer (4 pitas per baking sheet). Drizzle the pitas with olive oil, then brush the oil over them to coat. Spoon the pizza sauce on top of the pitas (divide it evenly among the pitas). Spread the pizza sauce over the pitas with the back of a spoon. Sprinkle the cheese evenly over the pita pizzas. Put the pineapple chunks on the pita pizzas. 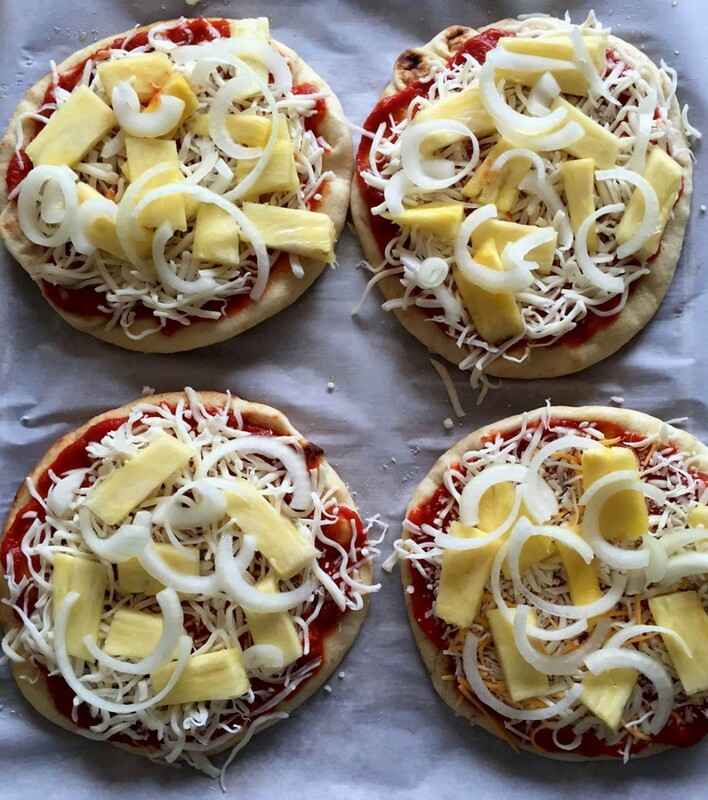 Top the pita pizzas with the onion slices. Put the pita pizzas in the oven and bake for 10 minutes. I always love pineapples on my pizza. These mini ones are so delicious!